In the field of welding, irrespective of the process used, when we examine what is needed for making a top-quality welded joint, preparation is an operation that is often neglected. Normally investments are made on what concerns the welding operation itself, unfortunately without taking account of any prior operations. But, this is a field where judicious investment can be a source of substantial savings. Even now, certain preparatory operations for welding are done with a grinding wheel or other equally unsuitable tools. Poor preparation will affect the end quality of the weld and lead to rejects, breakage or even leaks in use if defects are not detected in time. Good preparation for welding is even more important when mechanically welded structures are subject to heavy loads when in use (pressure, heat, mechanical stress, etc.). For example, this is the case in nuclear power or oil and gas industries, two domains where welding needs to be perfect. Welding preparation equipment that is available on the market can meet practically all users’ requirements, in terms of speed, quality or even size. It also gives companies the possibility of making both rapid and substantial savings. What economic gains can be identified by setting up a suitable welding preparation system? 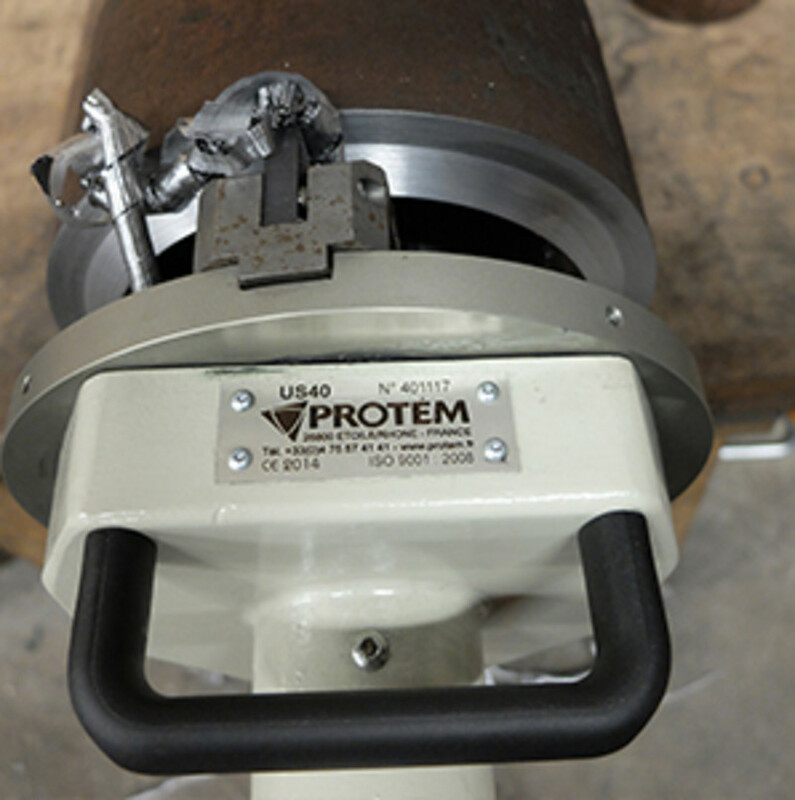 Gains in time observed when using a suitable welding preparation tool rapidly prove to be considerable. 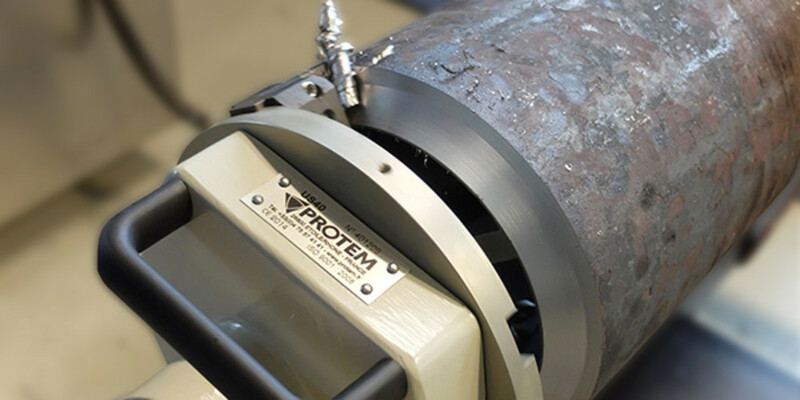 Preparing for welding on a 10” pipe with 1” thick walls only takes the operator a few minutes (5 at the most) with a Protem US80 inside clamping beveller for example, irrespective of the material to be welded (Austenite, Duplex, Inconel, stainless steel, etc.). By using a grinding wheel or other unsuitable tooling, the time taken for preparing for welding will easily be multiplied by 2 or 3 (between 10 and 15 minutes for a far-from-perfect result, which will necessarily be non-repetitive. An operator doing just five welds per day on this type of pipe will need to bevel 10 pipe-ends. If we count a gain in time of 10 minutes per bevelling operation, we will obtain a total saving of 100 minutes per day or 1 hour and 40 minutes. As the average hourly cost of industrial labour is 36.8 Euros, according to Eurostat data, the financial gain is at least 63 euros per day, which makes a total of 14,238 euros per year (considering that there were 226 working days in 2014). In this way, gains will rapidly cover initial investments made by the company. Perhaps, this case study may not be representative of what can be found in all companies, but, even so, by making the calculation, keeping suitable equipment in mind and making a comparison with the savings made over a year, it can be seen very clearly that gains are by no means negligible. The cost of quality is a sensitive element when looking at welding in detail. Tolerances are increasingly difficult to attain, tests are increasingly precise and specification requirements are increasingly restrictive. Suitable equipment for preparing welding operations is most certainly a real asset in the search for excellence, expected by contractors. But what financial gain can be found by using this type of machine when it is a matter of quality? In fact, savings are visible on two levels. Firstly, the number of reject parts will drop naturally by mechanising the task. Tolerances will be maintained more easily and welds will be of higher quality. 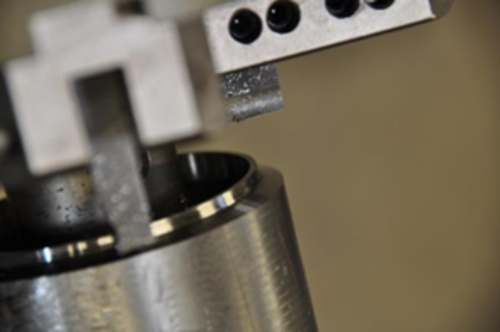 As a result, the time spent on re-machining reject parts could be devoted to production and make the company’s general productivity increase. A second form of saving can also be made by using this type of equipment. As the process is more reliable and more especially because it provides repetitive good-quality results, the need to check each preparation operation individually is no longer necessary. Statistical checks can be made (1 check every 10 preparation operations, for example, depending on the machine’s reliability) and, as a result, the company’s inspection costs can be drastically reduced (in this case, reduction is close to a factor of 10). This paragraph is the direct follow-on to the paragraph on quality. Whenever a poor quality weld succeeds in getting through all its inspections, costs can be calculated in millions or even billions of euros if ever a catastrophe occurs. This is the case in sensitive domains such as nuclear power, refineries or pipelines where the slightest defect is synonymous with catastrophe. A number of accidents due to poor welding have marked history, such as what occurred at Romeoville, Illinois in the United States in 1984, where the explosion of a poorly welded tank killed 17 people and caused a loss of 200 million dollars for the company. 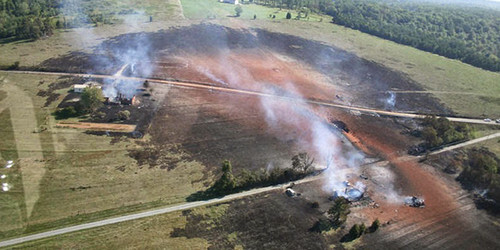 More recently, in 2004, a gas leak from a pipeline at Ghislenghien in Belgium caused an explosion killing 24 people. Unfortunately, this type of incident is not all that rare in refineries and on pipelines and the only way of avoiding them is to implement clear welding procedures, based on the use of reliable equipment, irrespective of the level of welding, of preparation and of inspection. Using a welding preparation machine is also consistent with safety improvement plans. An incorrectly selected machine may prove to be non-ergonomic for the operator, both noisy and dust-producing, both of which are dangers to health. Vibrations are also responsible for a large number of long-term disabilities. Choosing a light-weight, easy-to-use machine with practical functions such as torque control will undoubtedly cost money when it is acquired, but the acquisition will immediately reduce risks of injury and time off work, be this at short or at long term. At short term, fatigue will be felt less during the day, which will enable operators to be more efficient. At long term, muscular or bone affections will be less important if suitable equipment is used. Therefore, safety and user-friendliness can be considered as being an economic benefit for a company that has a global view integrating purchase costs for equipment that contributes very considerably to optimizing its operators’ work conditions. Certain companies would like to invest in orbital welding equipment for gaining time and improving quality when welding pipes and tubes. One of the most frequent mistakes is to neglect preparations for welding. For automatic orbital welding to work correctly, it must be remembered that there must be no gap whatsoever between the pipes to be welded. Furthermore, ‘J’ shaped bevels are recommended for minimising the need for filling. 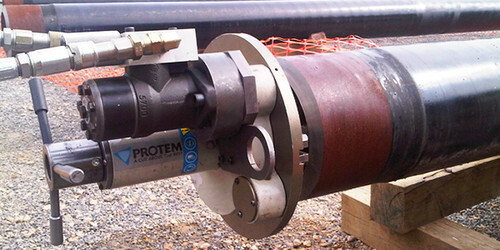 As a result, geometric tolerances are very complicated to attain Accuracies required can only be attained by using a machine devoted to this type of preparation, a machine that possesses specific options such as a carriage capable of following the pipe’s profile or a counterboring system for maintaining a constant bevel over the pipe’s whole circumference. Therefore, when investing in automatic welding, it is extremely important to plan for sufficient investments in welding preparation equipment or risk seeing the project fail completely by having automatic welding machines that cannot be used to their full capacity due to shoddily made welding preparation operations. Therefore, choosing a suitable machine for preparing for welding is an economic asset no matter from what angle this type of investment is considered. It considerably improves productivity and quality. Operator safety is guaranteed and probabilities of a catastrophe resulting from a poor weld are reduced. Lastly, correct preparation for welding is an essential condition for carrying out welding operations, especially automatic welding, in total peace of mind. Therefore, a company with a long-term view will not merely stop at the cost of the initial investment, but it will look in detail at all the potential savings that this type of machine can offer it.